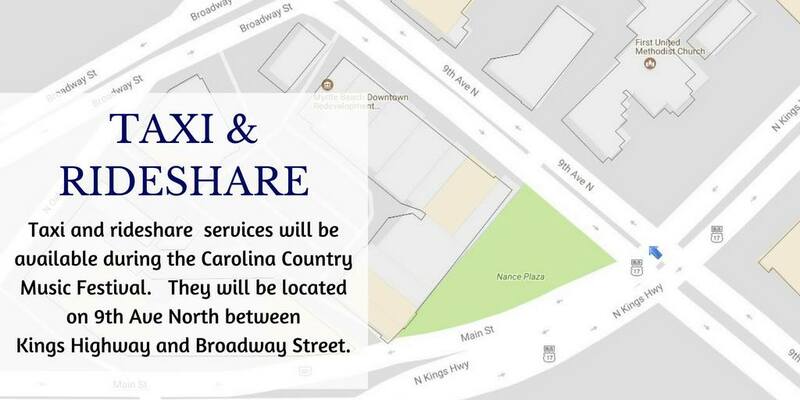 Beginning at 10:00 a.m. on Thursday, June 7, and continuing through Sunday evening, the following information pertains to travel near the event site, Burroughs & Chapin Pavilion Place. Ninth Avenue North on the west side of Kings Highway will be open to customers and employees of businesses along Ninth Avenue North. Don’t worry… All businesses affected are aware of the plan! The Myrtle Beach Police Department, along with Community Service Officers and Citizens Police Academy Alumni will man the bike racks to allow customers, employees and Taxi/Ride Shares to come and go as needed. If you are attending the Carolina Country Music Fest, you'll have to go through a metal detector. Before you get to the gate, make sure you have the right bag. This year CCMF will require people use clear bags no larger than 12" by 6" by 12. The only exception is a small clutch roughly the size of your hand. If you don't have one CCMF will offer them to buy in parking lots and at the entrance for $10. If you have a conceal carry permit you cannot bring a gun inside the festival. Police and music fest organizers encourage people if you see something say something. If you do you can call 843-918-INFO (4636) and it will go straight to the police command post. Questions? For additional information, contact Captain Crosby at 843-918-1366 or jcrosby@cityofmyrtlebeach.com. For more information about the Carolina Country Music Fest, visit https://carolinacountrymusicfest.com/.